Front side: A group photo of six Pacific University students. 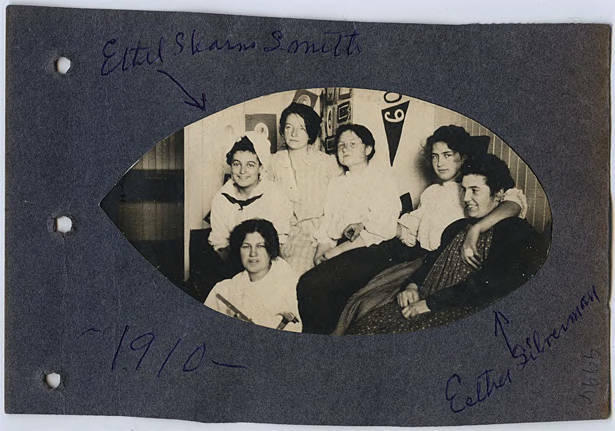 The young woman furthest left is identified as Ethella Stoughton Stearns and the young woman furthest right is identified as Esther Silverman [unsure of maiden name]. 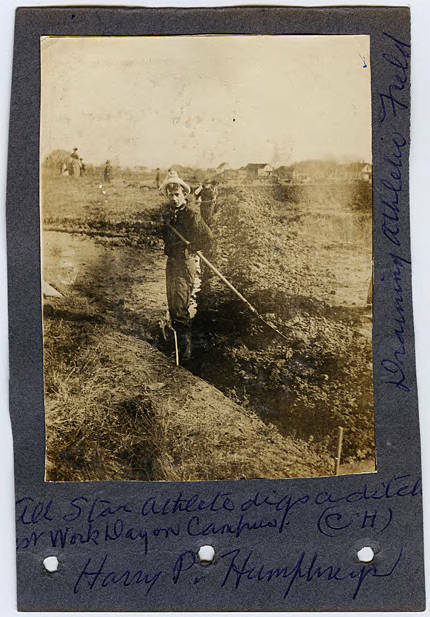 Back side: Harry Pembroke Humphreys digging a ditch to drain the athletic field on Campus Clean-up Day.